I almost ordered this one but I was afraid the color might look differently in person and because I have the black version was afraid it wouldn't go as nicely as it does with yours. I just got this case...i loved it tell i found out it screws your screen up. I tried the spen and it does not work on the right side. That's not what I wanted to hear 😕 thanks for reporting this. My case came today. Very happy. ladyc0524 and Delirious D like this. 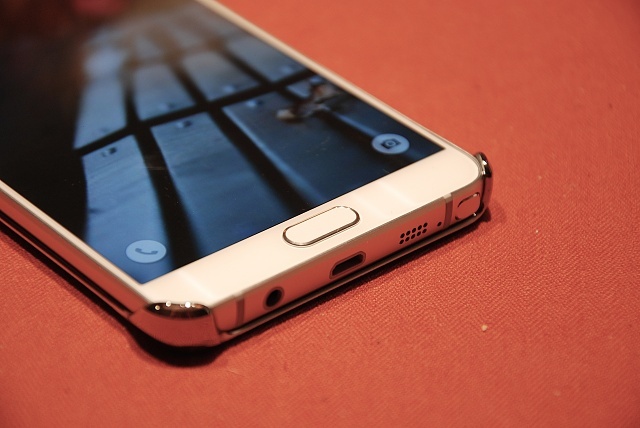 I ordered my Note 5 today and should have it tomorrow. 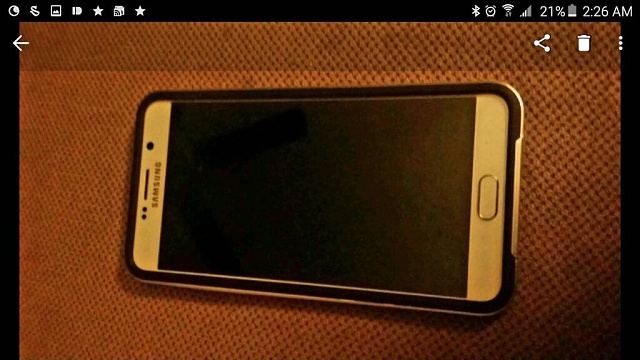 I have an INCIPIO DUAL PRO case coming with it from Verizon along with a Verizon branded tempered glass. 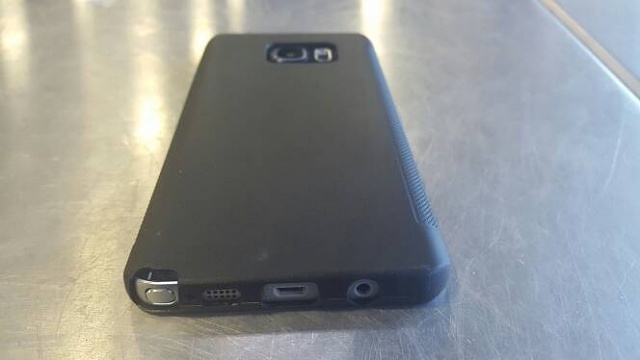 I have a Samsung protective cover on my Note 4 and it has been my favorite case yet. 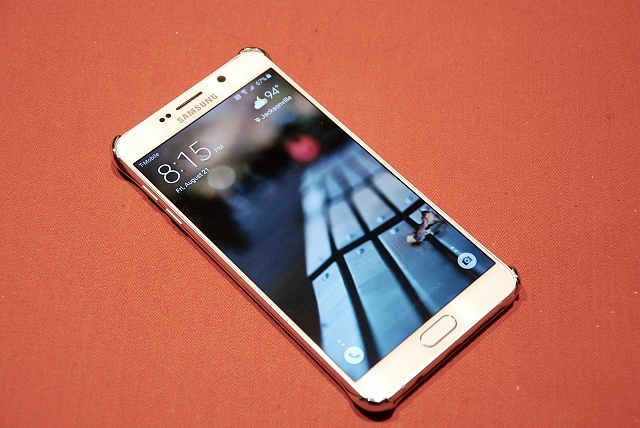 So, I pre-ordered this one today and I'm hoping I like it as much as the one on my Note 4. 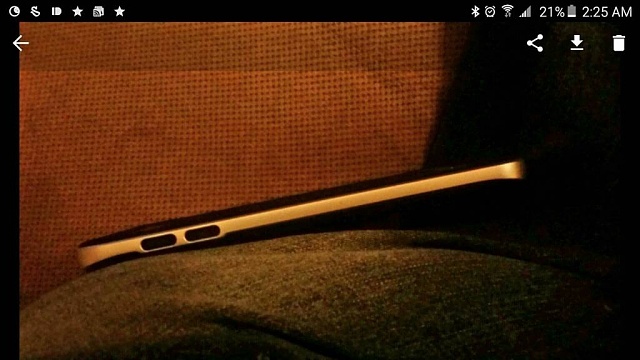 It looks very slim and minimal, which I also like a lot. I would go without a cover but it only takes one drop. Got this Insignia case from Best Buy today for $15. 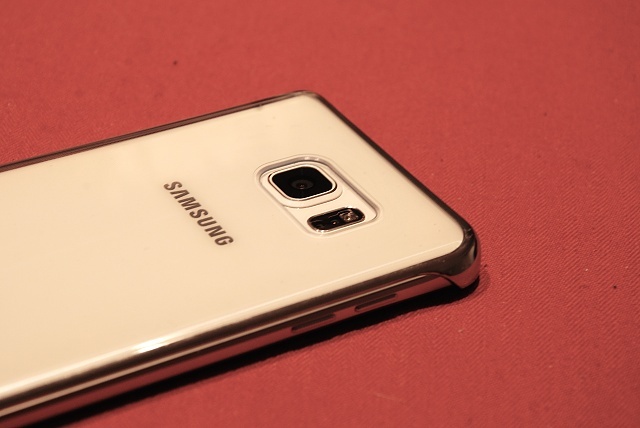 It is very slim and doesn't add bulk to the Note 5. I'm actually pretty please with it. I am also going to give the Spigen Hybrid case a shot too. husslord and ProudArian like this. Picked up 2 new note 5 's with a lease from sprint tonight. 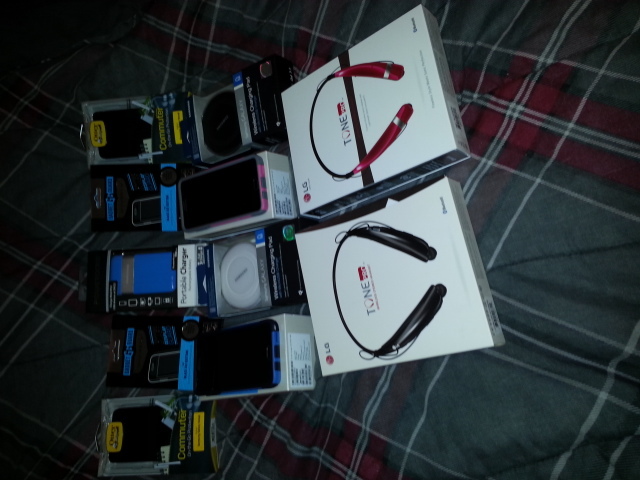 Traded in an old htc evo 4g and a samsung galaxy s. Received $400 in store credit. Spent $505 total($105) out of pocket but this was our haul. Not a bad deal if I do say so myself. ladyc0524, Delirious D, llfloyd79 and 1 others like this. Just wanted to share some live shots on the official Samsung clear case and the Spigen Liquid Crystal cases. 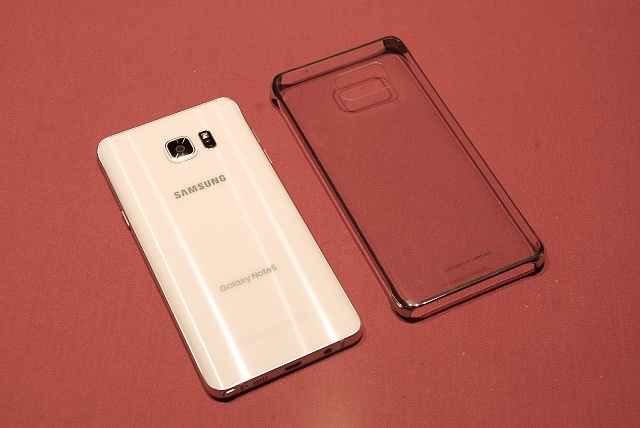 Not the best quality pics, but tough to get good shots of thin, clear cases. I'm definitely a fan of both. 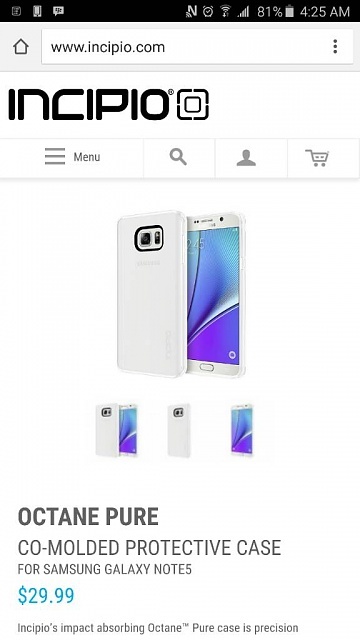 I'm leaning more towards the Samsung case since it's exactly what fits my needs. 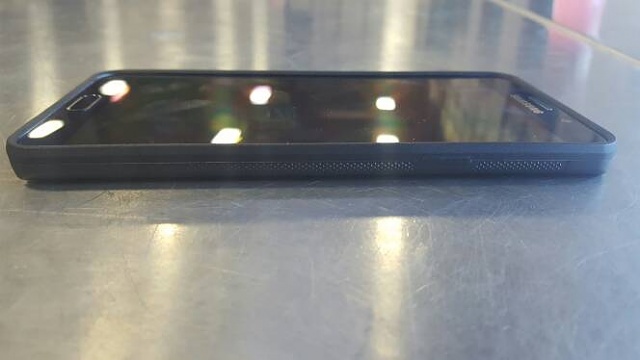 Super thin and doesn't cover up those lovely bezels. The Spigen case fits perfectly and gives a nice amount of protection. anon(280955), Katrina White1, TheDonJ77 and 4 others like this. Picked up this incipio case from my service provider today. Decent case, but. ......the S-pen access is very deep and difficult to get the S-pen out. Even when clicked. Not recommended if S-pen is essential. 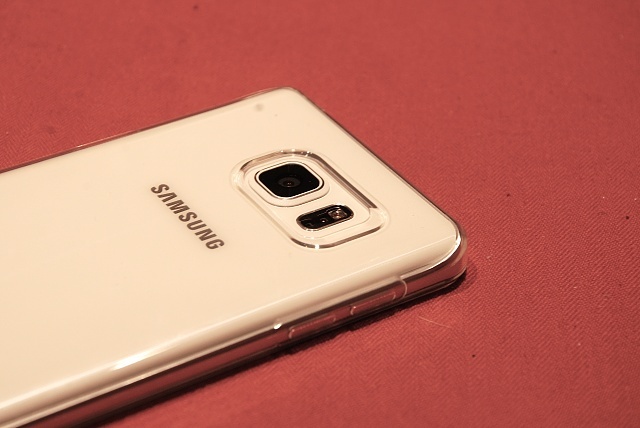 I swap between that and a Apple leather on my 6 plus, will get one for my note 5 for sure, great protection. 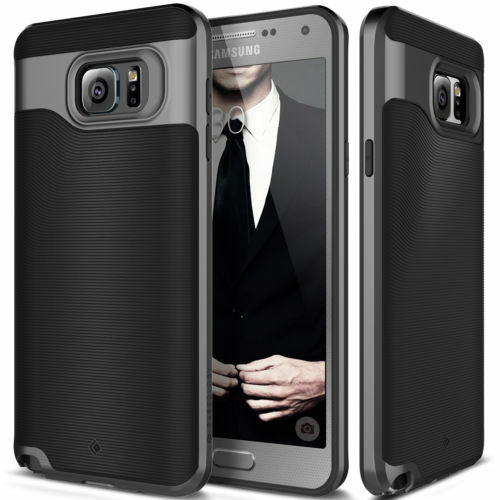 Has anyone thought about not using a case but a full body wrap. I just hate covering this beautiful device with a case. That being said though I did buy a clear Ringke Fusion case from Amazon which is okay but still covers the phones beauty. If you've went this route then what you purchased and your opinions on it would be greatly appreciated. ...I am going with this for the Note 5 though - I haven't been using the Belt Clip for months now on the Note 4 so this one looks right. i-Blasson is great to deal with too - I snapped the belt clip off (my bad, and told them that) - they sent me a new one free, NO QUESTIONS! I saw all of those on Amazon. I'm looking for a good quality pouch or rotating holster that will hold my New Verus case. Picked up a Pelican Voyager ruggedized case at At&t this morning when I got my note. Comes with a non-sticky plastic screen protector, I'll swap that out with a glass protector soonish. ladyc0524 and jimd1050 like this. I hate the idea of watching the live broadcasting of these new smartphones that tell how beautiful the phone is and the design specifications all to be for no reason because before you update your settings you're throwing an Otterbox case over it. It defeats the purpose of being thin and beautiful when it's all covered up. Pay $$$for case or pay for insurance to replace. It's all built a conspiracy to add to the cost. Gorilla glass...screen shield. Metal chasis....defender case. 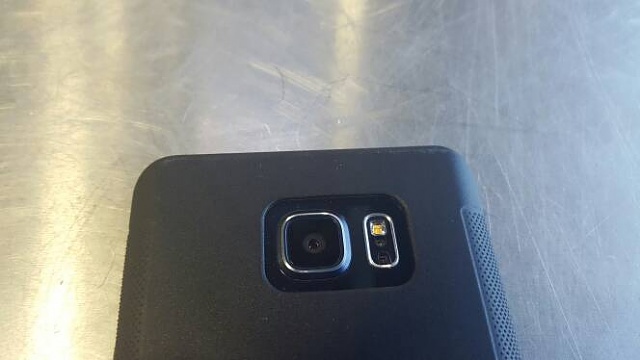 No bezel.....flip cover. Where does it end? 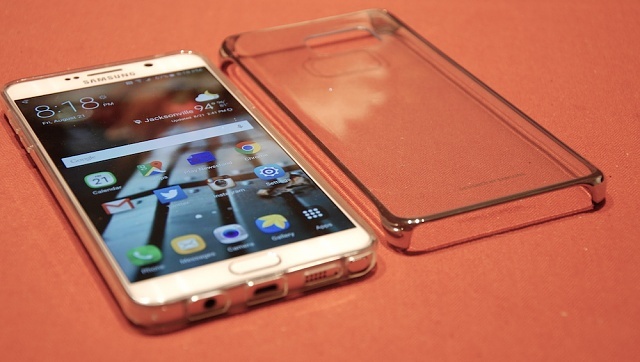 I love showing my phone's gorgeous design off, could you please give me a clear case that doesn't take away from why I shelled out the cash for all this design and technology. Delirious D and athenatp like this. I'd rather pay for a case up front, knowing how clumsy I am, than to have to pay a hundred dollars a pop to get the phone replaced under insurance. Or even worse, to not be able to replace it and to have to live with a cracked screen. I'm all good with using cases, especially since it allows you to change the image or color to suit your needs and personality. Just saw this case on eBay. what od you guys think? Delirious D, jimd1050, Katrina White1 and 1 others like this. 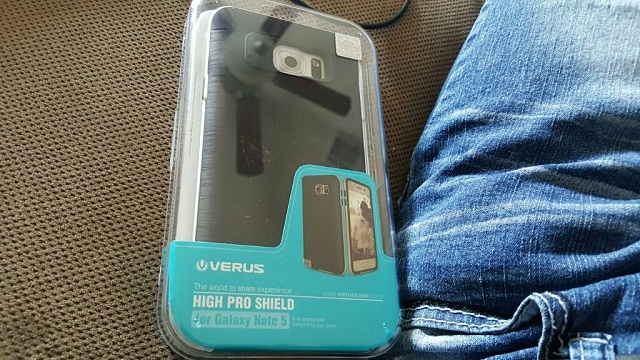 I ordered the Verus High Pro Sheild case as well. How do you like it? 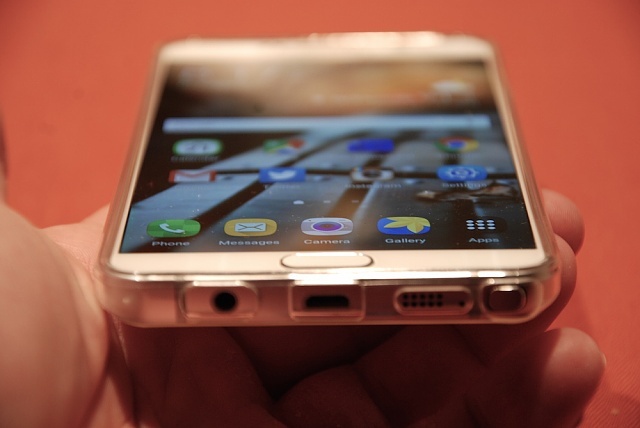 Does it add a lot of size to the Note5? Waiting for mine to arrive! If you can post photos of it on your device, that would be great! I like it, it really doesn't add too much bulk. It's still light. Here are some pics to get an idea. 8100User and ThaBlackAziatic like this. On my Samsung Galaxy 5, can I play the Waze app through my cars Bluetooth? 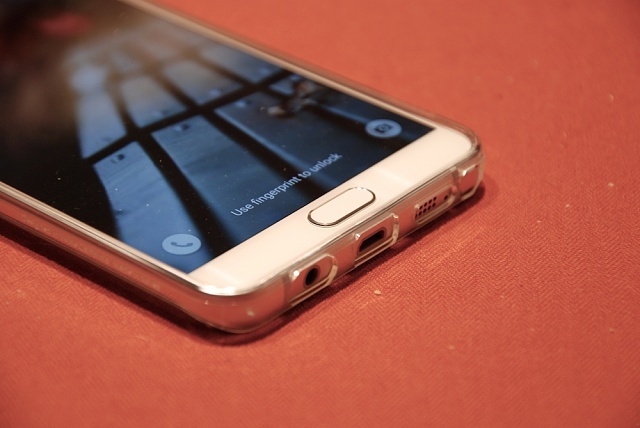 How do you enter a network provided unlock code on a Samsung S3 that is non sim card? Note Pro 12.2 P907 from ATT to T-Mobile issues, can I get some help?